Visit the Reptile House at the Zoo. What are snakes like? Identify trees – maple, oak, Tree of Life, Tree of Good and Evil. How are all trees alike? How are these 2 different? 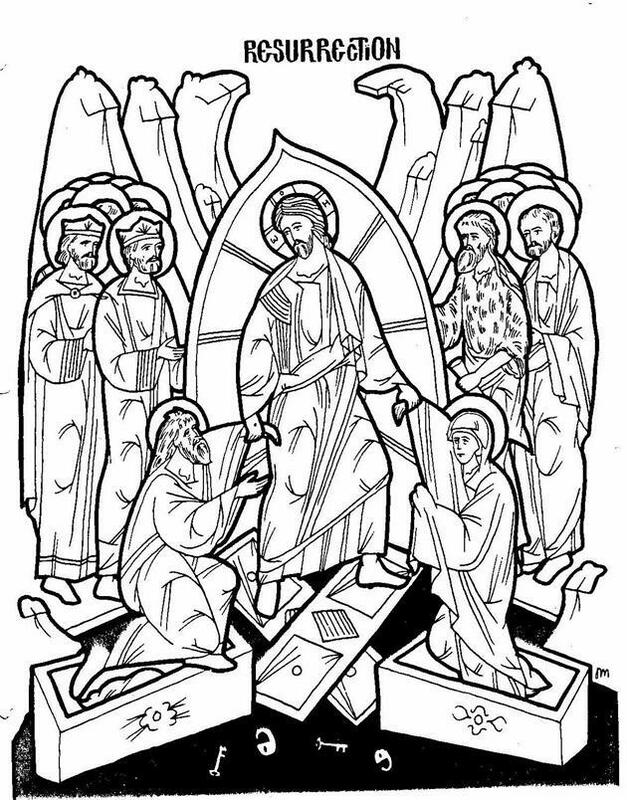 Put the icon of the Resurrection in your icon corner; where are Adam and Eve? Prayer: Help us, Lord, to obey You at all times. 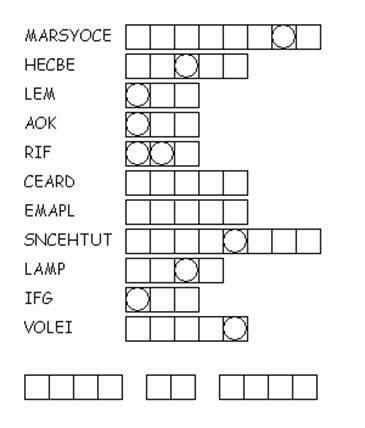 Unscramble each of the clue words for the name of a tree. Take the letters that appear in boxes and unscramble them for the most important tree.